When you're working passionately on a handiwork project or DIY renovations, it's all too easy to work up a sweat - especially on a hot summer day! 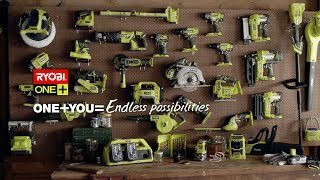 But with a Ryobi misting fan in your toolshed, you can forget about discomfort from heat interfering with your work. Anyone who already has a number of 18V ONE+ power tools will be able to power this misting fan with any of their existing batteries. Depending on the battery you use, you can enjoy up to 16 hours of runtime from this model - perfect for those tough tasks that require more time and energy. This Ryobi fan is compatible with garden hoses and can fit onto most buckets with capacities between 11 and 20 litres. Keep your cool by finding this excellent product at your nearest Bunnings Warehouse today.